Home Events Nearshoring Source One News Day 2 In Orlando for CSCMP2016! 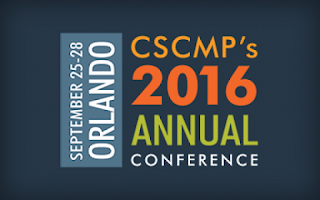 We're ready for another exciting day of supply chain management insights at CSCMP2016! The second day of educational sessions begins with the Major General session featuring Seth Bodnar, Chief Digital Officer of GE Transportation. At 10:30 AM the Educational Sessions kick off. Attendees have a fantastic selection of presentations to choose from. Penske will be presenting CSCMP's 27th Annual "State of Logistics Report". Lego Company will be leading a session titled Learning to Love and Leverage Being on a Team: Can you Build a LEGO Object in 10 Minutes with People You've Never Met? Supply Chain Quarterly is set to present Disconnected in DC: Why Metrics Matter. The list goes on and on. There's no doubt, conference-goers will have a tough choice to make when deciding which sessions to attend. On thing is for sure: attendees won't want to miss Source One's session Sourcing from Mexico:The Supplier Development Challenge. Source One's Associate Director and CSCMP Emerging Leader Award Winner, Diego De la Garza will be leveraging his vast nearshoring know-how for his presentation. He'll explain the factors influencing this mass trend of companies moving supply chain operations back from countries in Asia to Mexico. In addition, he'll explain the challenges of finding and engaging suppliers in Mexico, and how to navigate the obstacles. 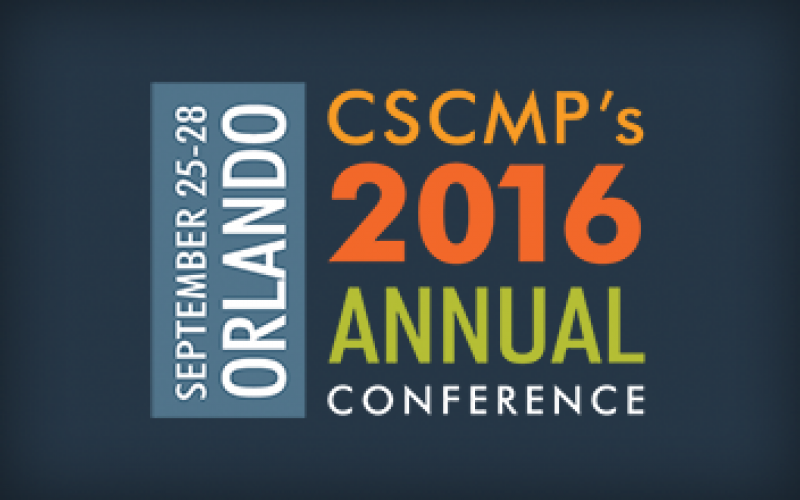 Interested in learning more about Source One during the CSCMP Annual Conference? Stop by our Booth #118!